Most people know the Four C’s to consider when buying a diamond: Cut, Color, Clarity, and Carat weight. These contribute to a diamond’s grade, quality, and price, and are extremely helpful when buying the right gem, making them important to keep in mind during the ring shopping process! But during this time of year, there is a fifth C that anyone looking to buy an affordable engagement ring should consider: Christmas and Holiday Deals! That’s right – holiday deals aren’t just for electronics and clothing anymore. These deep discounts are spanning across a wide range of categories these days when it comes to shopping, and that doesn’t discount the inclusion of beautiful diamond rings. It doesn’t matter if you plan to propose next week amidst a romantic flurry of silent snowfall, or if you want to pop the question six months from now on a sunny summer day. When you propose is not as important as when you buy the ring, especially when the price is right. We are in the midst of the holiday season, which means hot cocoa, pumpkin pie; snow covered fields, and most importantly, discounts on diamonds. While you may think such a sale was unprecedented, these star-studded deals are known to come up every year around this time. With that being said, now is certainly the time to buy that glistening rock and add something shiny to your holiday shopping list. Here’s how to find the right ring for the right price this holiday season. Buy the Ring Online – According to an article in the Huffington Post by Joseph Pisani, engagement rings and wedding bands cost 20 percent less when purchased from an online jeweler than from a walk-in jewelry store. The formula is simple; online retailers have less overhead costs, thus they can afford lower sale price marks on their products, making them one of the best places to buy diamonds during the holidays. If you and your partner are shopping together, this is also a great time to nab affordable wedding rings, too! Plus, shopping for these rings online allows the luxury of not feeling pressured by sales people and having the advantage of taking your time. Browsing the wide online selection of luxury engagement rings allows you the convenience of checking out all of a ring’s products details and granting the privilege of being able to compare them to other models. This also makes it easier to compare sales across sites and retailers. Buy From A Retailer With A Good Return Policy – Buying a ring without seeing it in person holding it in your hand and noticing its twinkle is nerve wrecking for many shoppers. That’s why it’s important that the online retailer you purchase your diamond from has a full return policy, just in case the diamond delivered to you doesn’t quite live up to your expectations. Brilliance.com has a 30-day Money Back Guarantee in which customers can return any purchase for a full-refund. We want you to find the perfect engagement ring for your love. Focus On the Cut – Many consider this the most significant of the four C’s. The cut determines the sparkle and shine level of the diamond: a diamond with a good cut is a diamond that winks at your from across the room, shimmering, glistening like fresh snow on the ground. You want that diamond. This is something to pay particularly close attention to when you’re on the hunt for a deal, as the cut of a diamond can determine much about the overall price of the ring. While the round brilliant diamond cut is the most expensive out there, it’s for good reason: this cut provides the most wow-worthy sparkle, which is what makes it so popular. A whopping 75 percent of all diamonds and over 55 percent of diamonds sold within the United States are round cut brilliant diamond. When something is that popular, the price rises. Because of the steep demand and even steeper prices for this particular cut of diamonds, the holiday season is the perfect time to snag a deal on these brilliantly beautiful stones. Princess cut stones are another that top this list when it comes to cost. These are the second most popular diamond shape, given the fact that they offer a modern look yet are complementary to traditional settings. If you’re purchasing a princess cut diamond, though, ensure that the cut is an exactly symmetrical square. Anything less decreases the value of the diamond, so it’s certainly something to lookout for. Consider researching deals on oval cut diamonds over the holiday season, too. While this shape is usually less pricey than others, it definitely has its perks. The length associated with an oval cut creates the illusion of a higher carat weight, making this cut desirable. The holidays are the perfect time to nab a bargain on one of these already reasonably priced stones. Go A Fraction of a Carat Smaller – Maybe you can’t go cheap on the cut, but you have more leeway with the carat. A fraction of a carat can make a huge difference in the cost of a diamond. By going just a small fraction smaller (buying 1.90 carats rather than 2 carats), you can save a lot of money, without sacrificing the look of the diamond. Make Sure It’s Certified – The two most reliable organizations for certifying gems are the Gemological Institute of America and the American Gem Society. This is just to make sure you’re getting the most bang for your buck. Custom Make It – Perhaps you or your loved-one already has the perfect ring in mind. Well, if that ring is out of your budget (most often it is some overpriced designer ring), you can custom make one that looks exactly like it, but for a price that keeps your bank account happy. Creating something from the heart tends to have a special meaning that will make your future bride-to-be treasure this special memento even more. For your convenience, Brilliance has a 3-Step Process that makes it easy to customize a ring to give it that extra personal touch. 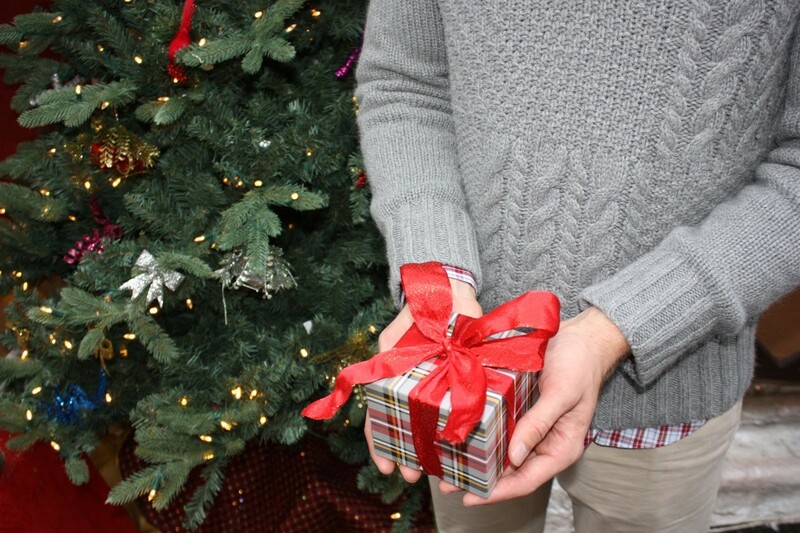 The holiday season is the most popular time of the year to propose, which means it’s time to start shopping. 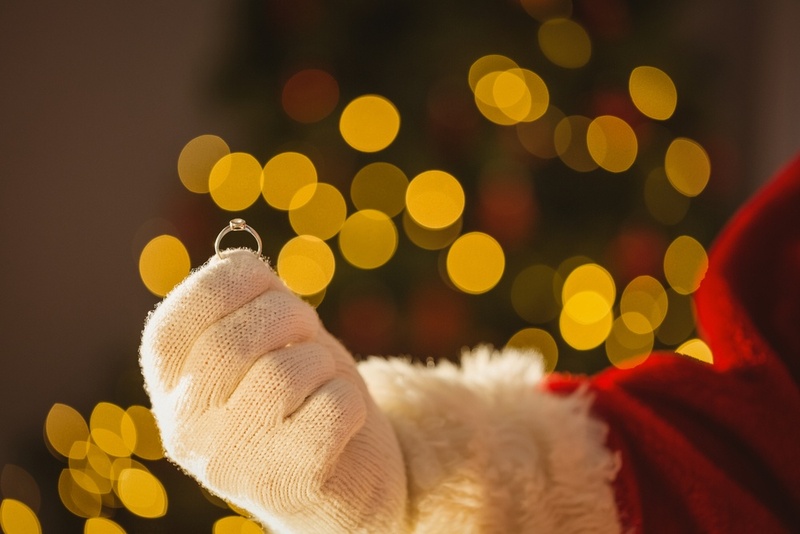 With these tips in mind, you’ll be able to pop the question to your perfect partner with the perfect ring, perhaps the next time you step under the mistletoe or as the snow falls down romantically around you.